This is the third ski from Moment that I’ve reviewed, and my expectations were pretty high following the first two. I was initially impressed by the Moment Bella’s balance of stability and playfulness all around the mountain, and once I hopped on the Bibby Pro, I had no doubts that I had found one of my favorite soft snow skis. For a few years now, I’ve been excited to get on the narrower women’s ski, the Sierra. The Sierra has been around for a few years now without any major updates, and it will be returning unchanged for the 15/16 season, except for the graphics. 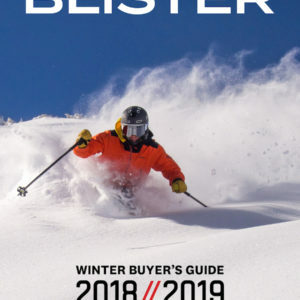 Even though it is quite a bit narrower, Moment calls the Sierra the little sister to the Deathwish, which is one of their most popular all-mountain skis. While I loved the Bella all around the mountain, it was not my favorite on groomers, which as a former racer, is something that is pretty important to me. I was hoping that the Sierra would be a bit more capable on groomers, while maintaining good soft snow performance. The Sierra has an aspen and pine core, reinforced with carbon fiber stringers. The Sierra hand flexes smoothly, with more of a medium flex in the tip and a medium-stiff flex in the tail. The Sierra has a pretty interesting shape, and I’ve never actually been on a ski with this type of camber profile before. 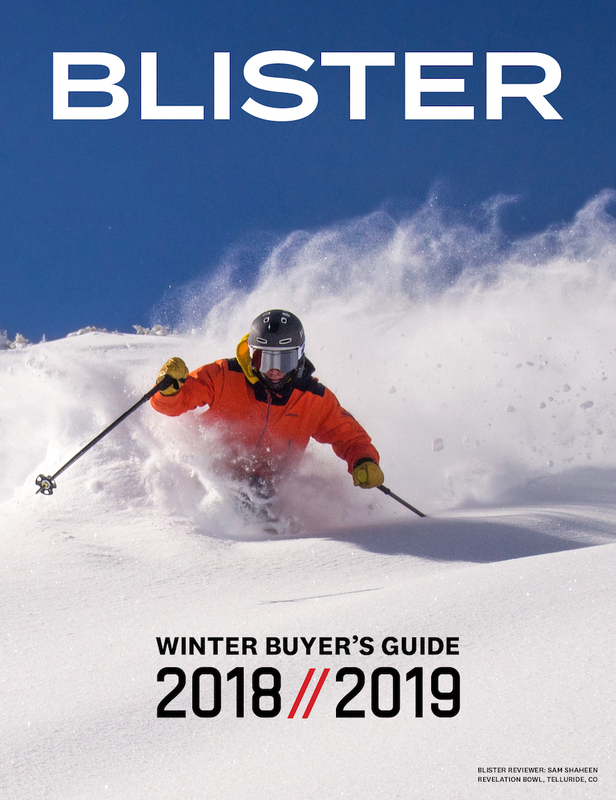 In addition to tip and tail rocker, Moment uses what they call “triple camber,” which means the ski has camber underfoot, but also has two additional points of camber in front of and behind the bindings. Traditionally, when a ski has tip and tail rocker, the ski loses a lot of its effective edge, as well as a bit of liveliness and power. The idea behind triple camber is that these multiple points of contact will put some of the life back into the ski’s tail and offer better edge hold for a ski that also has tip and tail rocker. The added camber also provides a bit more stiffness in the rocker at the tip and the tail to improve the ski’s carving capabilities. So, the combination of tip and tail rocker with three points of camber should add a lot of versatility to the ski. When skiing around, running with bases flatter or smaller edge angles, the ski should have a looser, more playful feel, one of the characteristics of tail rocker. 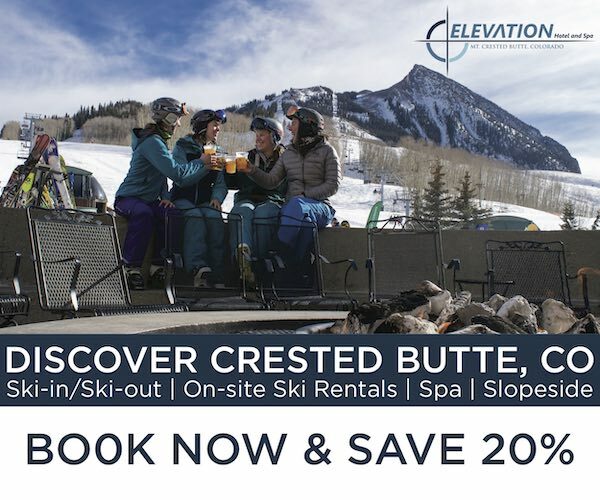 But, once you start to angulate more and dig into the ski through a carve, you are able to engage the additional points of camber and utilize more of the ski’s effective edge. 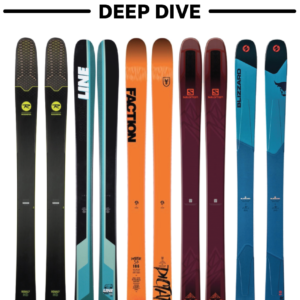 This sounded pretty ideal for an all-mountain ski: improved carving capabilities when you want it, but the benefits of having tip and tail rocker when looking to ski more playfully or on deeper snow days. I was curious to see how this design actually worked. My first day on the Sierra was a warm, sunny day at Taos, with firmer, spring-like conditions. Although the wider Bella was really enjoyable on groomers, the Sierra was an absolute blast. I have to admit, I am always a little skeptical of a ski’s carving capabilities when it has tip and tail rocker, though several skis have really impressed me in the past (including the Nordica La Niña and my custom Romp 106). 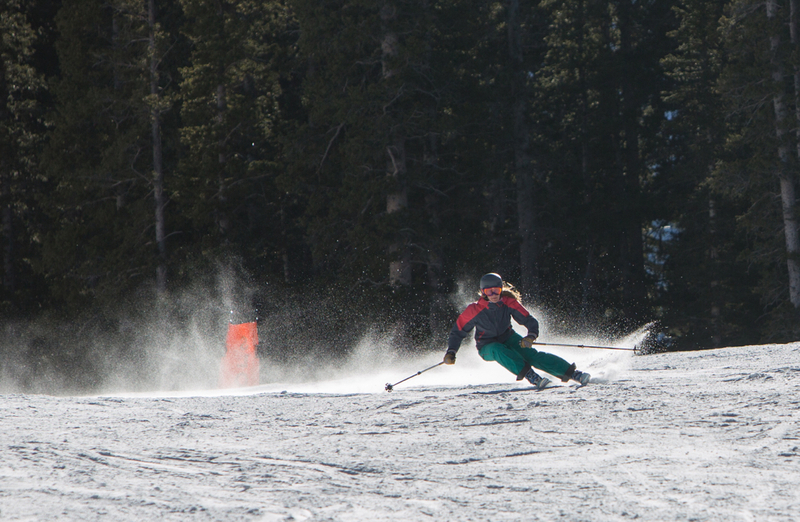 Julia Van Raalte on the Moment Sierra, Taos Ski Valley. Although I knew the Sierra’s triple camber is meant to improve its carving performance, I was still quite surprised by how good it felt ripping down groomers. Getting them up to speed, they were light and quick edge-to-edge and felt really energetic. What really stood out to me, though, was how well the Sierra dug into the snow and held an edge. Even though they had a fairly sharp factory tune, I soon trusted the ski enough to lay it over into a deep carve. I could easily roll the ski over and achieve high edge angles, and in each transition, the ski felt lively. At speed, the Sierra had a nice, solid feel, which was quite unlike other skis I’ve been on with a similar amount of tip and tail rocker. While the cambered, tip-and-tail-rockered Blizzard Sheeva does really well on groomers, it never felt nearly as poppy or lively as the Sierra when transitioning from carve to carve. Although the Sierra’s added grip on the snow could in part be a result of the ski’s sharper tune, I’m inclined to think the two additional points of camber closer to the tips and tails are effectively increasing the ski’s edge hold and liveliness, since I’ve never felt a tip and tail rockered ski carve quite like it. On softer groomers, the Sierra did just as well, and I spent a little more time experimenting with various speeds and turn shapes. The ski has a fairly accessible lower end, so it’s easy to play around on at slower speeds. And going a little faster, the ski was happy to make quicker slalom turns, too. If you’re not looking to carve all the time though, the loose, playful nature of the tail rocker slashy or slarvy turns really fun, too. As Moment intended, the Sierra feels much more locked down only when you’re intentionally engaging the edge in a carve. Pointing the Sierra more directly down the fall line for some faster, longer-radius turns, the ski could still be pushed hard and feel stable. I did notice occasionally that the Sierra felt a little fidgety when going really fast over roughed up groomers, and didn’t provide the same quiet feel as a more damp ski like the Blizzard Dakota might have. However, considering the ski’s relatively narrower width, shorter length, and quickness that I really value, I was still impressed by how smooth the Sierra felt through inconsistent snow. And just to further support my findings, I had another former racer who highly values a ski’s carving performance take a few runs on the Sierra. The high pressure system in Crested Butte still hadn’t abated, and we pretty much only lapped groomers. After just a few runs she declared that the Sierra was her new favorite ski, and really couldn’t believe how fun it was to carve on. Watching her, she was really arcing the skis, making quick snappy turns and getting really low in each carve. One of the first runs I took on the Sierra was down one of my favorites at Taos—Reforma. I found that it was fairly easy to get a good rhythm going on the Sierra, as it felt quick underfoot. Working through some of the larger moguls at the top of the trail at slower speeds, I was able to pivot the ski from side to side with little effort. The day before, I had been struggling down the top of Reforma on the Hoji W. Since the Hoji W is a bit longer at 179cm, and has a stiffer, flatter tail, I wasn’t too surprised that the Sierra did so much better, but really appreciated how nimble and fun the Sierra felt through bumps. Back in Crested Butte, there are a number of runs that have less defined, more spread out bumps, which I like to cruise through going fast. At speed, the Sierra was responsive to quick direction changes, and when necessary, I had no problem shutting down my speed. Basically, they could be driven hard, but were also very forgiving. Compared to other all-mountain skis I’ve been putting time on, the Sierra felt quicker than the Line Pandora and the Volkl Aura, all of which are about the same length. Bumps are not always my favorite, but with how easily the Sierra allowed me to ski them, I’ve been having a really good time. After having so much fun on the Sierra in firmer conditions, I had guessed that the ski wouldn’t do quite as well in deeper powder and chop. Last week, Crested Butte finally got the several feet of snow it was waiting for (and badly needed), and we had a few really great, deep pow days. Sunday reported 18” and I grabbed the 184cm Moment Bibby Pros, one of my all-time favorite powder skis. What I love so much about the Bibby Pros is their ability to feel light and surfy when the snow is really fresh, but that they also are so capable of handling pretty much any depth of chop once things get tracked out. My morning on the Bibbys was fantastic, with over a foot of the blower snow you dream about. The afternoon was starting to get a little skied out, but the snow was staying soft and light. It was incredibly fun to be on a ski that I could push hard and fast through these conditions, while still maintaining plenty of float. 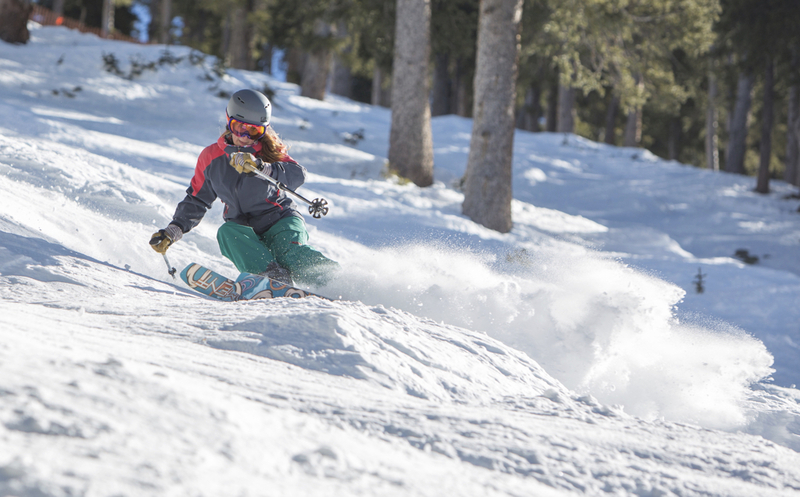 Julia Van Raalte on the Moment Sierra, Castor, Taos Ski Valley. As I started making my way down the steeper trees to the left of Big Chute, I quickly realized I had nothing to worry about. Although the Sierra was not as surfy as a more dedicated pow ski, it was having no problem staying on top of the snow, and I wasn’t experiencing any sort of tip dive. On my feet the Sierra feels really light, and was easy to keep on top of the snow in the untracked areas. While a wider platform would have been great, I wasn’t have any less of a good time on the narrower Sierra. Because there have been so few crowds, I was able to ski the Sierra in a lot of soft chop over the next few days. Here, I really loved the Sierra and was impressed by how hard I could push the ski. Lapping the Headwall, I was going just as fast as the other ripping ladies I was skiing with, pushing the ski harder through troughs, or quickly adjusting to hop off little bumps between turns. The Sierra had a great balance of feeling stable enough to work through the chop, but light and playful enough to through around and float through some of the softer sections. I probably would have been able to push a bit harder on the Bibby Pros, but didn’t feel like I was sacrificing too much with the shorter, narrower Sierra. One day on the Sierra, the temperatures rose to the low 40s and the snow got quite heavy, with more consolidated chop by the afternoon. Here, I had to adjust my skiing a bit; rather than skiing fast down the fall line, I needed to slow down and track across the hill a little more. Despite the ski’s lighter swing weight, when I needed a stable platform, the Sierra pretty much always provided one. If I tried to keep going at fast speeds through the heavier chop, I experienced a bit of tip deflection, and the Sierra felt like it didn’t have quite enough power to maintain my momentum. But at a slightly slower speed, the ski was managing just fine. This really wasn’t a huge issue to me, since I’m willing to give up a little bit of dampness and width for how much fun the Sierra was in virtually every other condition I encountered. The Sierra has a smooth and balanced feel, and think it would make a great one-ski quiver, for either the east or west coast. I also may have found my own new two ski quiver: the Sierra and the Blister Pro / Bibby Pro. I read a lot of your reviews and am trying to decide between the Sierra’s or the Blizzard Sheevas to be my all-mtn downhill ski. I ski 171 Atomic Access skis as my touring ski – but this season I have been ripping on them inbounds as my rock skis. I over power them a little bit (with my softer touring boots and they are pretty soft…) I have Armada VJJs for powder — so I want a good ski that’s all mountain for 4 inches or less of snow — most days. I want a ski I can push hard on steeper, tighter terrain and also rip groomers on (not a racer just like to ski hard.). I live in the PNW so something that will cut through crud without getting tossed all over the place is key — but I spend quite a bit of time in SLC / Tetons on hard pack. Think the Sheeva’s will stand up to charging hard or will they be too soft? Trying to find a deal on them now end of season deals — and not really seeing the Sierra’s on good sale anywhere. Thanks so much for reading! I think the Sheeva and Sierra would both be excellent choices for what you’re looking for. I think you’d be able to ski both hard, although I did find the Sierra to ski a little better on hardpack (stronger edge hold and more fun to carve on), and it’s also a bit narrower and more fun on lower snow days. If you really like to carve, I’d say the Sierra wins, but if you don’t mind as lively of a carver, you’d be really happy on the Sheeva too (it still carves well, just isn’t quite as exciting). 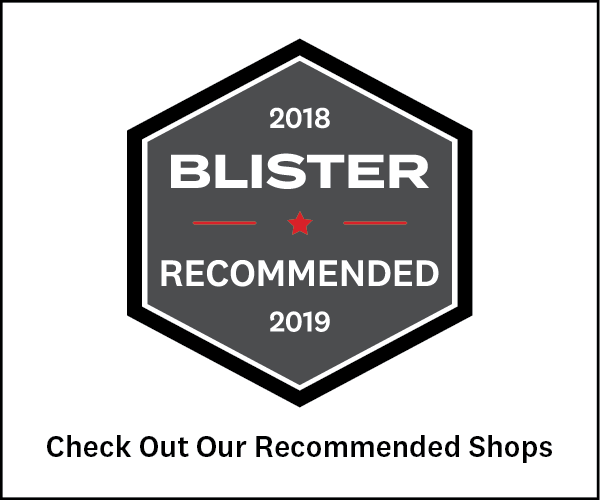 If you’re looking for a ski that is more hard-snow oriented but is fun to ski all around the mountain, you also might think about the Blizzard Samba or the Volkl Aura (which we have reviews on). They have flatter tails (the Aura now has full rocker, but it’s pretty subtle in the tail), and are really capable in firmer conditions and fun on groomers. 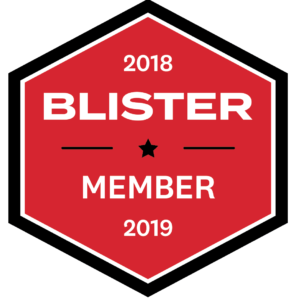 They won’t be quite as good in soft snow or have as playful of a feel as either the Sierra or the Sheeva, but feel a bit damper and stronger in tough conditions. I hope this is helpful and let me know if you have any other questions! What length would u recomend for the sierras ? Im 169 tall and this will be my first kinda fat ski. Ive mainly been skiing dedicated alpin skis before and therefore not used to the longer skis. I will be skiing tree-skiing, and just have this as my go to when i dont know the conditions for the day, and just want to have a bit of fun. Will the 162 be to short for me. Im thinking of just going with the 172 and hoping i’ll get used to the length. Im a good trained technical skier with a limited experience in the backcountry.